Almost everything I talk about on this site is connected in some way to sci-fi. One reason for this is that I do not want Google to be confused about what this site is – most of my visitors come from Google, after all – but the more important reason is that I just love sci-fi, and everything to do with it. My deep love for sci-fi even includes sci-fi inspired music, of which there is a huge amount. I’ve talked on this blog before about Dirty Computer, Janelle Monae’s cool musical movie for example, but not all sci-fi music is as obviously admirable, some of it is considered “bad” by many people, and I also want there to be space for this kind of sci-fi music here, too. While Klaatu was not exactly a prog band, that song definitely has many of the genre’s staple characteristics. 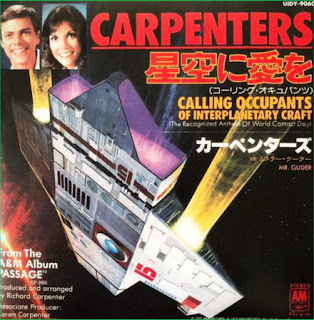 Over eight minutes long, it has interesting shifts in song parts and moods, instrumental passages, extensive use of mellotron, and of course that sci-fi theme. This track was suggested by an actual event that is described in The Flying Saucer Reader, a book edited by Jay David that was published in 1967. In March 1953 an organization known as the "International Flying Saucer Bureau" sent a bulletin to all its members urging them to participate in an experiment termed "World Contact Day" whereby, at a predetermined date and time, they would attempt to collectively send out a telepathic message to visitors from outer space. 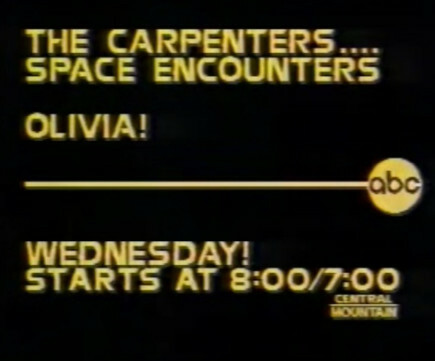 The message began with the words..."Calling occupants of interplanetary craft!" The entire series is available to buy from Amazon. Just click the link and take a look. All this is undeniably cool, and I am enormously intrigued by all of this, including World Contact Day. I wish it was this version of the song that this blog post was singing the praises of, but it is not. I only found out that this version of Calling Occupants even exists as I was writing this post. The version of the song that I want to talk about is very different, and about a thousand times less cool. The version I know is the cover by the Carpenters. 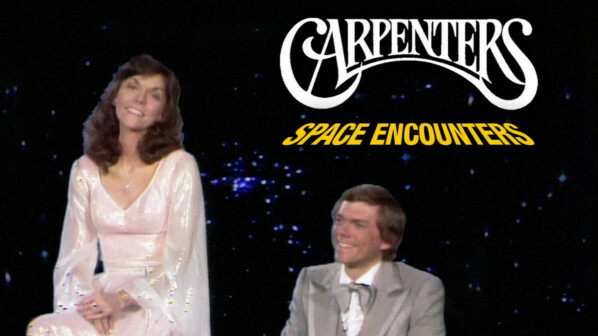 The Carpenters' version came out in 1977, a whole year after Klaatu’s song was released. Two months after that the movie Close Encounters of the Third Kind by Steven Spielberg was released. 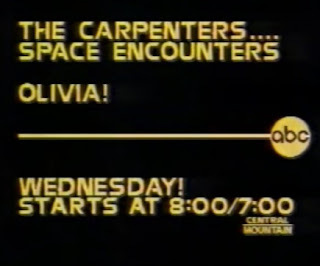 The Carpenters could not have hoped for a better promotional vehicle, and there followed a successful Carpenters television special, The Carpenters...Space Encounters, which I have not seen, but I will... oh yes, I will. In the end, the song reached number nine in the UK, on the sixth of November, 1977. That’s when I undoubtedly heard Calling Occupants, and it is also when my love of sci-fi was slowly forming. I was still buying humor comic books, rather than sci-fi titles – I would not buy my first issue of Starlord until the following year – but I was aware by then that Star Wars was coming, and my excitement was building. Even though Star Wars came out in May in the USA, it premiered in the UK much later, in December at the Leicester Square Theatre and the Dominion, Tottenham Court Road. Films in those days always opened first in London and rolled out across the country afterwards, and it did not come to the regional cinema where I saw it until mid 1978. My unequivocal sci-fi induction came with Star Wars, but my sci-fi awakening had already begun, and even cheesy trash like Calling Occupants was a big part of it. I will always look back fondly on this song, and it brings a smile to my face, even today. The cover art is great too, by the way, painted by Andrew Probert, whose first TV work was on Glen A. Larson's 1978 ABC miniseries Battlestar Galactica. He was recommended for the job by the transcendent genius (now sadly passed) that goes by the name of Ralph McQuarrie, and he contributed the design for the Cylon Centurions. For me that cements his 70s’ sci-fi reputation as one of the greats. In fact, all in all, Calling Occupants is a very powerful package of 1970s sci-fi goodness and I am very glad that it has an indelible place inside my brain. I may never be able to persuade anyone that it is actually, objectively “good”, but I rate it very highly indeed. To end, just a reminder that the best way to support this blog is to buy one of my books. 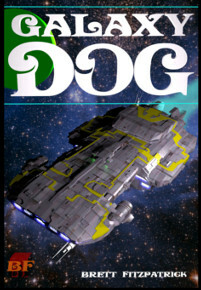 Simply go over to Amazon, or Kobo and get one.